Simply refer to your browser's Internet Security Options (or Content Options) to enable scripting for this website. Thanks! Hold up there! It looks like this browser currently has Cookies disabled. You will need to change this to continue. Simply refer to your browser's Internet Privacy Options (or Security Preferences) to enable Cookies for this website. Thanks! Graduation announcements are a perfect way to announce the celebration of your accomplishments and upcoming College or University graduation with your family and friends. Each announcement is specifically designed with your school's crest and personalized with your name, degree, major, time, date, and place of your ceremony. 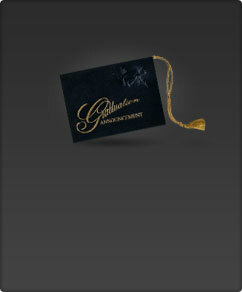 announcement is the socially correct inner and outer envelopes. 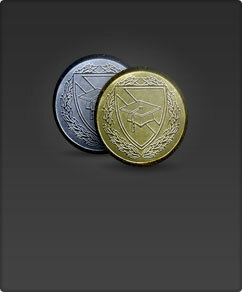 These can be used as Announcements or Graduation Invitations. Acknowledge anyone who helped make your graduation a special event by sending them a traditional, hand-written thank you note. A beautifully embossed envelope seal will add an elegant final touch to your Personalized announcement inner envelope and thank you note envelope. Recognize and honor your loved ones for the support and encouragement they've given you with this beautiful Certificate of Appreciation. This treasured keepsake, preserved in a leatherette cover, features the loved one's name (i.e. Mom and Dad, etc.) 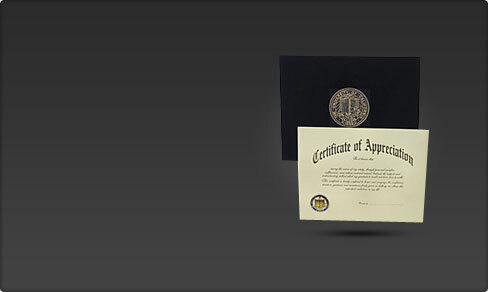 on high quality paper with a gold engraved heading and seal. 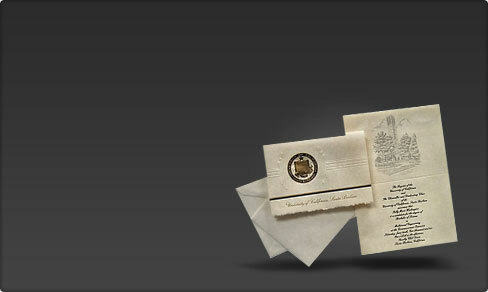 Save time addressing your envelopes with this personalized, self-adhesive, clear address label. 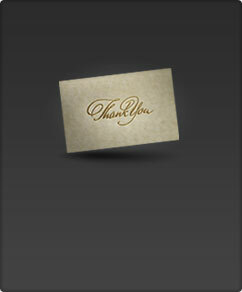 A special touch to any announcement or thank you note envelope. Send that special someone a keepsake of your University or College graduation announcement protected by an embossed, leatherette cover. Keep one for yourself to remind you of your memorable day. In most situations, we are able to process your order within 24 hours of placing your order, sooner if you order in the morning, longer if you order late in the day or on weekends. You can choose to have your package delivered overnight, 2nd-day or standard ground. Although we need to tell you to expect delivery times as long as 5-7 business days, many of our customers receive their packages within 2-4 business days.